With the increasing advancements in digital technology, photography has become one of our favorite pastimes what with the selfies, wefies, and groupfies we take. But what is the best Windows 7 photo viewer to use to clearly see our pictures? We checked out some of the popular photo viewers used and here are our top picks for the best Windows 7 photo viewer tools. 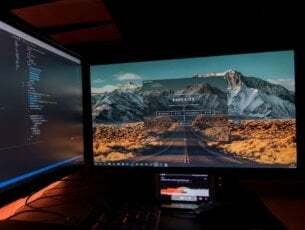 If you don’t like the one that comes with your Windows 7 OS by default, you can ditch it for any of those described in this article. What are the best Windows 7 photo viewer tools? This one comes in different types for different users such as the home user or professional as it is like a full photo studio suite for use in viewing, editing and creating unique images. It supports more than 60 image formats including GIFs, plus you not only get to view crisp quality images on a super platform, you also can edit, organize, manage and even share your digital photos with your loved ones or friends or workmates from your desktop. Sometimes photo viewers can be slowed down but this one, even with all its features, is fast in terms of opening and scrolling through directories of your images. It comes at a $59.99 price though (trial version available), so it’s not free like most other photo viewers. Install it on your computer and give it a try. You would usually have to install multiple applications to manage all your photos, documents, and archives. It’s convenient to choose one that can handle at least most of the formats you are going to work with. File Viewer is a great option and has many features for photos. 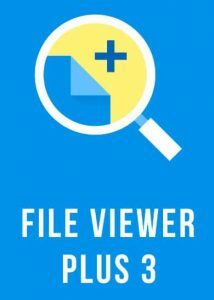 File Viewer Plus 3 is a universal file viewer for Windows that can open and display over 300 different file types. 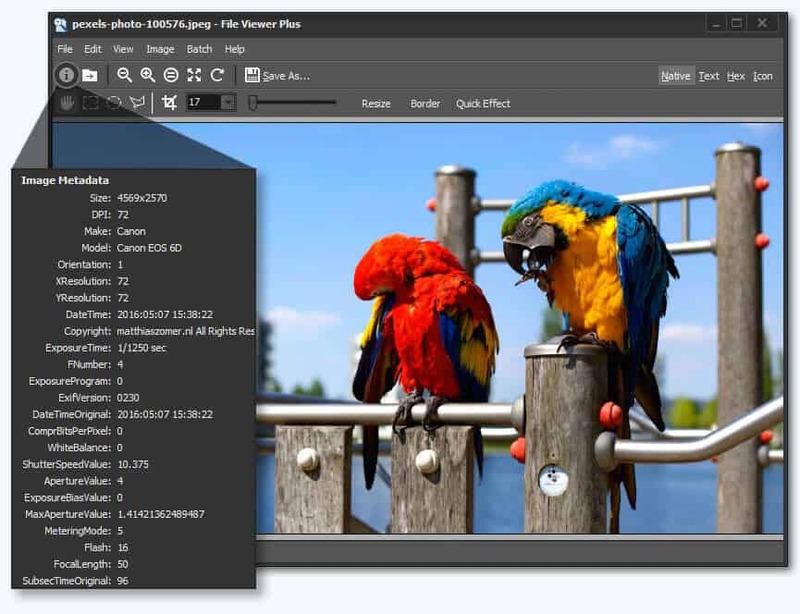 The new version brings extra features and focus on support for viewing and converting over 50 new file formats, including over 25 additional image, audio, and video formats. The new batch conversion feature works at great speed and you can save settings to use it again for different jobs. Raw files are well supported with this program and you can open photos from 600 different camera models. You can also view EXIF data for digital photos and camera raw files. The application has a simple, smart layout and is as easy as drag-and-drop files. 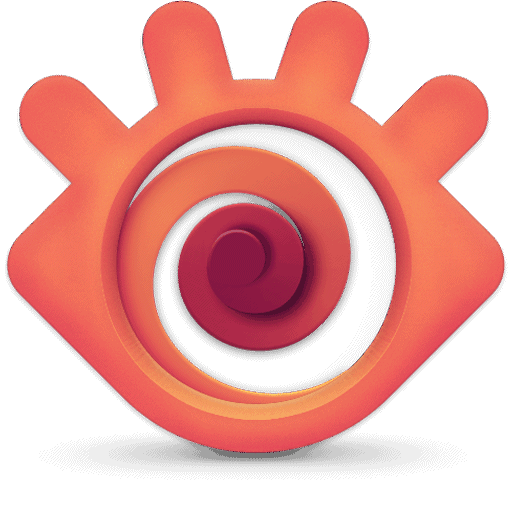 You can download a fully-functional free trial or buy it at an affordable price. Irfanview is one of the most popularly used and best Windows 7 photo viewer software you can get. It is small, super-fast and compact, plus if you’re a beginner, it is so simple to use. 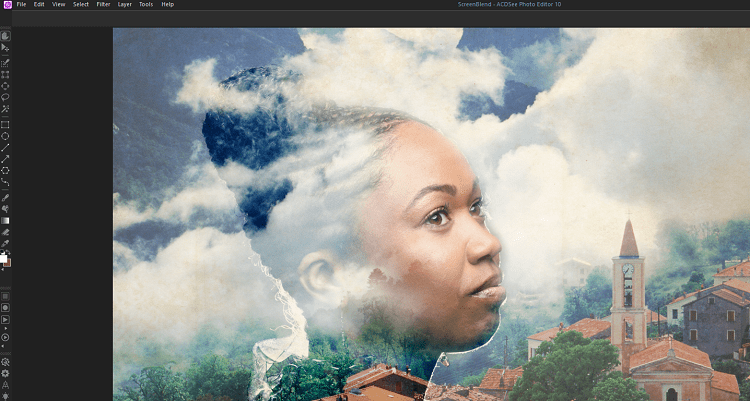 Professionals can also take advantage of this powerful tool, which, unlike other photo viewers, is built to create new, unique, and interesting features for your graphics. 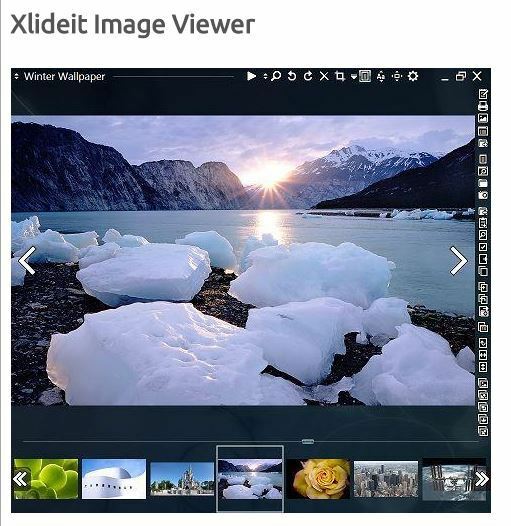 It is actually the first Windows 7 photo viewer globally that delivers multiple GIF, ICO, and multipage TIF support. It is this variety of features that comes with Irfanview that makes people love it and also use it as their photo editor, besides viewing photos, because it also supports filters from Adobe Photoshop. Plus it comes completely free of charge if not using for commercial purposes, otherwise you’d have to register with $12 for commercial use. Some cool things you can do with this photo viewer include file searches, email and print options, batch conversions for advanced image processing, fast view through directories, Photoshop filter support, Paint option such as drawing lines, arrows, circles and other shapes, add effects such as sharpening, blurring, and you can also capture screenshots, change cut/crop, and add watermarks and so much more. This photo viewer tool comes with zoom support, as well as image editing tools so you can resize, rotate or flip, crop, sharpen, blur, adjust lighting, adjust colors, and many more editing effects. You also get image color effects which ideally are like using filters, but these are limited to grayscale, sepia, RGB adjustment, and negative. You can also use Paint options such as drawing texts, lines, shapes and callout objects on images. A unique thing about this tool is its Clone Stamp and Healing Brush. In case you make errors and want to go back, you can use the tool’s Undo/Redo capability, plus get to compare up to 4 images side by side at a go. 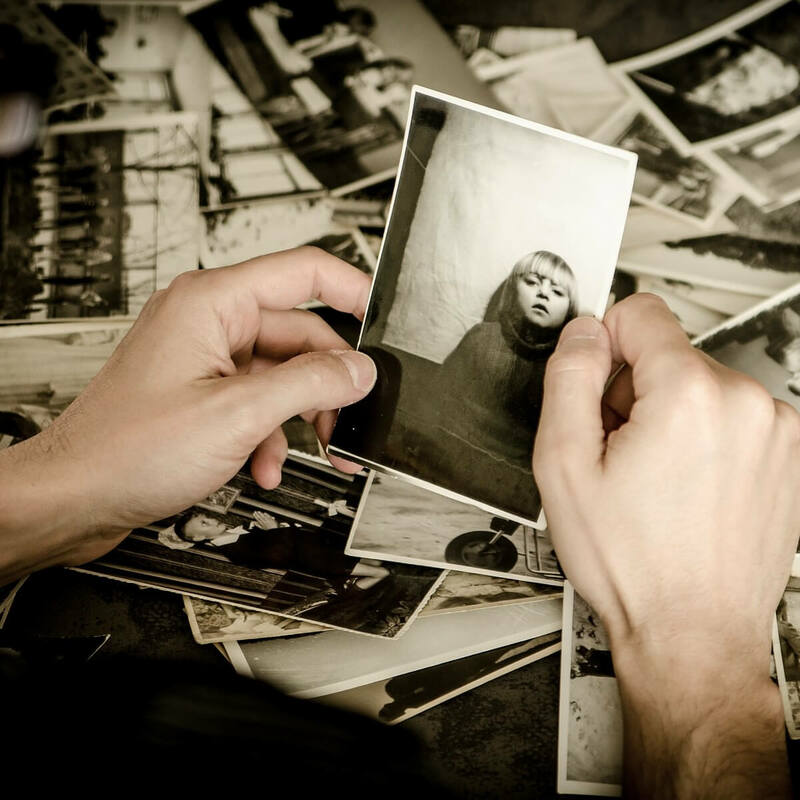 If you want to collate all your favorite family photos for a memorable experience, you can use the PhotoViewer Pro to create montages which you can use as screensavers or wallpapers for your viewing pleasure. This is also one of the best Windows 7 photo viewer software used in the world. Besides offering viewer capabilities, you can also convert images as it supports over 500 image formats. This tool offers different viewing features such as Thumbnail, Full screen, Filmstrip and Slideshow so you can always view based on your preferences, or when making a presentation. You can also edit images using the various editing features such as resize, rotate, crop, adjusting brightness and contrast, modifying colors, or even applying filters among other effects. You can also export over 70 image formats, but also create slideshows, web pages, contact sheets, image strips, and so much more. It has unrivaled compatibility in terms of format support, which includes animated still formats, GIFs and ICO support. Other cool features include batch processing, which really is good if you have so many photos to work with. This Windows 7 photo viewer is fast and user-friendly, plus comes with a variety of features including image editing, viewing and management. You get great features such as slideshow and other transitional effects, plus it supports major graphic formats such as JPEG, BMP, PNG, TIFF, ICO, GIF, TGA and most RAW formats. With this tool, you can also compare up to 4 images side by side at a go, so you can modify your photos for better viewing. It also comes with the usual features such as color effects, paint options, editing tools, and image magnifier, zoom support, different screen view styles, print and scan options, create montages, batch processing and so much more. It is also free to download and use, plus you don’t get the silly ad popups, adware or spyware that come with using free apps. 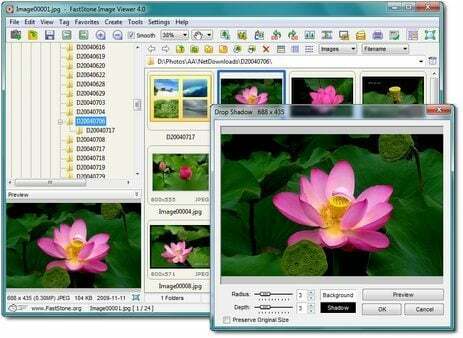 This is just like the FastStone image viewer, but it is fast, compact and supports major graphic formats. You get an intuitive, user-friendly layout so you can view your photos in different ways, plus you can even password protect your files in a jiffy in case you have those private photos you don’t want all and sundry to access. Other regular features include photo editing, paint options, but you can view compressed or archive files securely and directly. It also supports touch interfaces if you like to touch or swipe. Otherwise, it also comes with all other features included in the Image Viewer version. This Windows 7 photo viewer by SourceForge comes free of charge and contains most, if not all, features you would want in an ideal photo viewer. It is lightweight and comes with tools such as editing, image management, and basic processing. The interface has a thumbnail bar at the bottom that shows all your images, plus you can use the toolbar to access the popular commands such as zoom, rotate, crop, delete, resize, slideshow, and even list sorting. You can switch between full screen or window mode to view your images and edit them while you’re at it. This portable app is free for use, and lets you view your images in a crisp, sharp display, with fast loading capabilities. You can use it in place of your old boring photo viewer, and easily edit, zoom in or out, plus enjoy moving easily between images and folders. You can also use keyboard shortcuts to browse images on your computer, and customize the brightness so you can view each image with the focus it deserves, while the rest are displayed on a vertical bar on the right side of your computer’s screen. It’s really simple to use, and doesn’t need installations to run it. 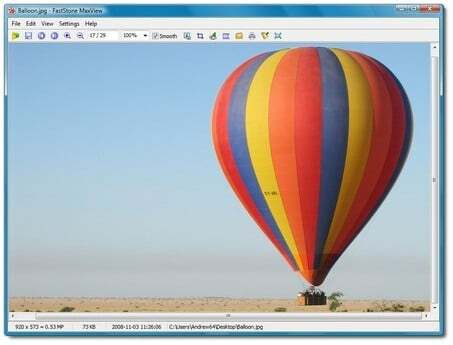 This Windows 7 photo viewer is fast, supports different formats and viewing of images in compressed and archive files without the need to extract them. One cool thing about this photo viewer is that if your images have GPS information, their location can easily be seen on Google Maps, and you can store the photos you want. It doesn’t come with any adware and/or spyware, plus you can view your photos in different displays such as Fill or Parallel view modes. You also get a photo folder feature where you can store any of your favorite photos. Some of the formats supported by this photo viewer include BMP, JPG, GIF, PNG, PSD, TGA, TIFF, and RAW formats from digital cameras. 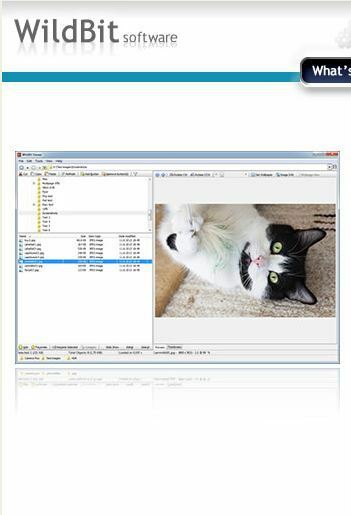 This is another small, fast, but compact Windows 7 photo viewer with a simple interface, slideshow functionality, and photo editor. 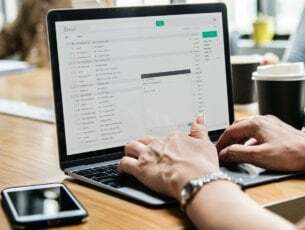 It supports major formats including JPEG and TIFF, plus has a shell toolbar where you can drag and drop your photo folder and use it as an organizer. It also lets you save your favorite photos in a folder, and create a custom slideshow with 176 different transition effects for your viewing pleasure. 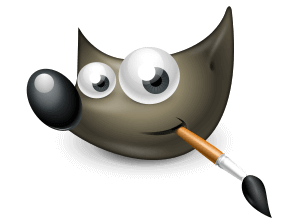 GIMP is great free software that will allow you to view and edit photos. It has a simple user interface where you can quickly find the necessary tools for the editing process. You will find there special effects filters, color controls, exposure controls, selection tools and many more. Gimp is more a tool for beginners and for amateurs that would like to create some basic images by using some of the most used tools. We strongly recommend it, especially because of its price – free. Plus that, the tool works with every Windows version from 7 and higher. Have you found your favorite pick among these Windows 7 photo viewer tools? Let us know in the comments section below. Editor’s Note – this article has been originally published in November 2017. We have recently updated it to include new relevant software for Windows 7.